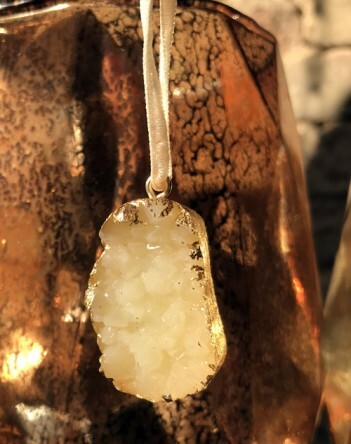 Looking like a mini stone geode with gold leaf edges (its actually made of plastic and is not a real semi prescious stone, although a few people have asked in the shop what type of stone it is). Hangs from velvet ribbon. Perfect for small trees.